Last week I was looking for a carb-free meal for my slow cooker. I came across a pizza recipe without the bread. Essentially, it’s cooking all the ingredients in a slow cooker and eating pizza out of a bowl instead of in slices. Going carb-free might be a quick fix to lose weight but you can’t go without carbohydrates forever. So, when I retried this pizza recipe I added quinoa. As far as carbs go, quinoa is not a bad choice. Quinoa is high in fiber, high in protein and is gluten free. It also makes me feel full and keeps me from over-eating. Also, a little goes a long way. When I mentioned quinoa, my colleague said, “Gross.” She doesn’t like its taste, or lack-there-of. 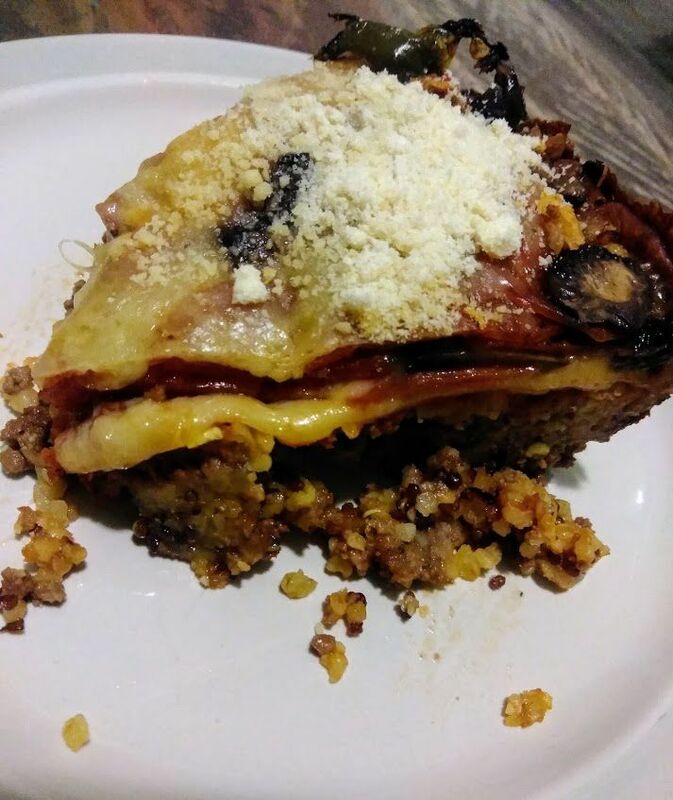 You have to mix quinoa into recipes such as this pizza meal and it tastes so great. This is an easy recipe that you can have done for dinner in less than two hours. The most difficult part is browning the ground beef. Once that is complete, mix the meat inside the slow cooker with two cups of mozzarella and one cup of quinoa. Then pour three cups of pizza sauce on top. I don’t like basic pizza sauce so I used marinara with garlic. After adding the sauce, you place as many slices of provolone you want on top followed by whatever pizza toppings you enjoy. I went with pepperoni, sliced jalapeños and mushrooms. The recipe calls for the meal to be cooked on high for two hours. However, pay attention to the slow cooker because don’t want the quinoa to overcook. My meal was done in one hour. Since the meat is already cooked before entering the slow cooker, you basically want the meal to heat up and the cheese to melt. It will likely take less then two hours to cook. Note: This is a good meal if you are on a no-carb diet; just don’t add the quinoa. >> Cook on high between one to two hours.